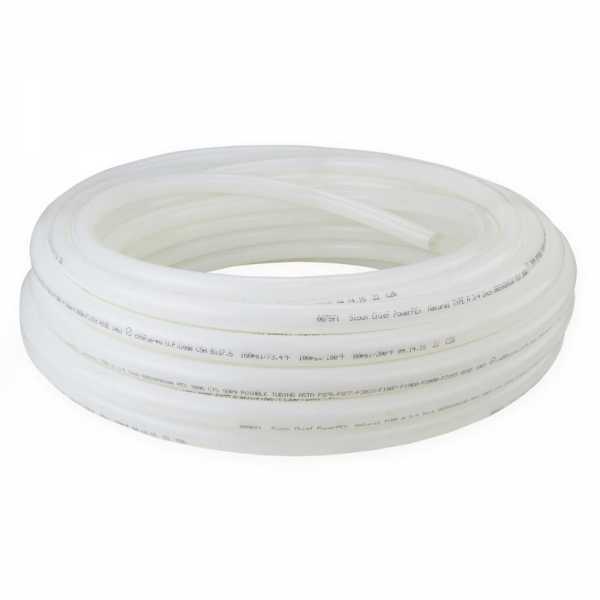 The 665XA3N100 from Sioux Chief is a 100ft roll of 3/4” PowerPEX Non-Barrier PEX-a Tubing, Natural. Intended for use in hot, cold, and potable water applications. Direct replacement for Uponor/Wirsbo AquaPEX F1040750 (natural) / F3040750 (blue) / F2040750 (red) and Mr. PEX 1842030 (blue) / 1742030 (red). For use with F1960 style expansion fittings, expander tool and expansion sleeves. Fully compatible with Uponor ProPEX connection system. Lead-free, certified for potable water use (NSF/ANSI 61 & 372, nsf-pw-g). Meets ASTM F876/F877/F2023/F1960/F2080/F2159/F1807 & CSA B137.5 standards. Installed using expansion method (expansion tool + rings), compatible with Uponor/Wirsbo ProPEX system (hePEX, AquaPEX), Sioux Chief, Mr. PEX & Rehau. Pressure/temperature ratings: 160 psi @ 73.4°F, 100 psi @ 180°F, 80 psi @ 200°F. Canarsee offers free shipping on all PEX tubing. We have the lowest prices on the market!